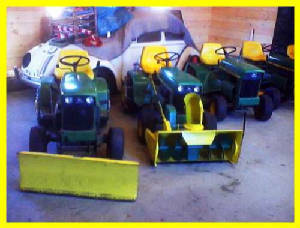 Kerry's collection of green and yellow. 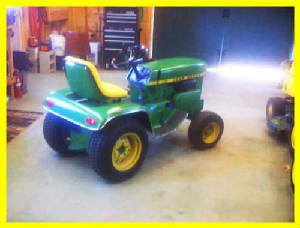 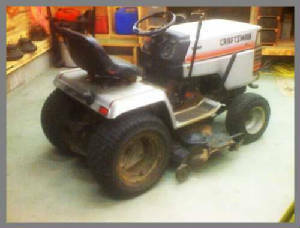 Click here to go to pauls tractor page and join the group. 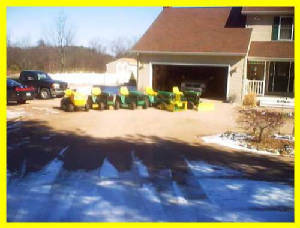 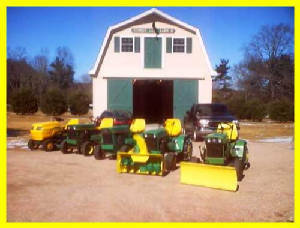 This is kerry's nice collection of green and yellow and all are not JD either.Actually one is a silver craftsman.Check out kerry's barn in the background to.I'd love to have a building like that!.Remember to click on the pics for a better view. 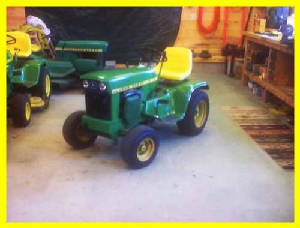 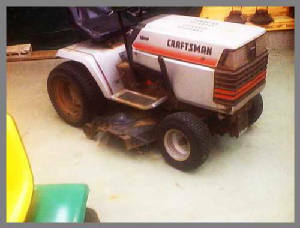 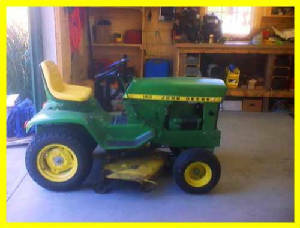 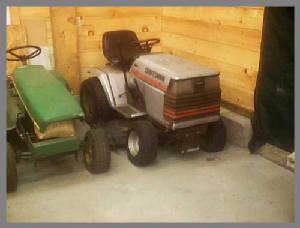 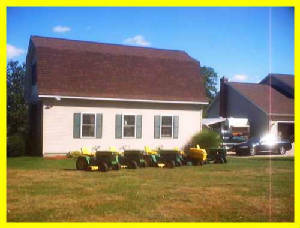 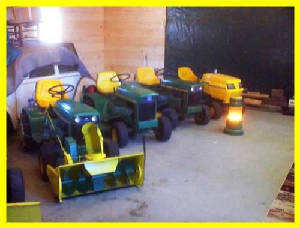 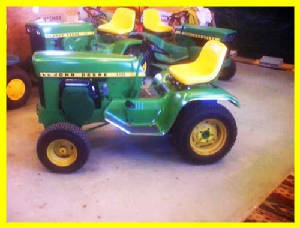 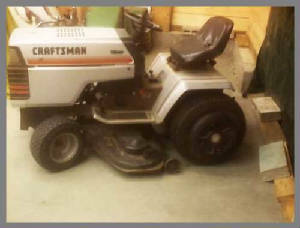 A closer look at Kerry's tractors. 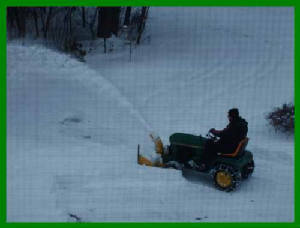 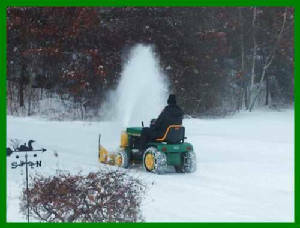 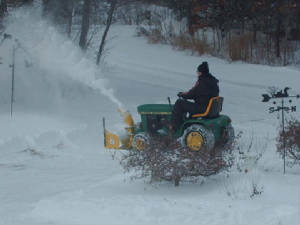 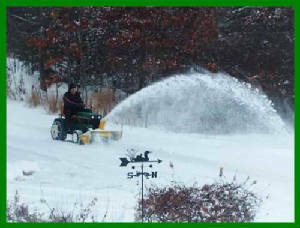 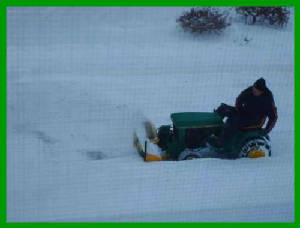 Kerry putting one of his john deere's to work.